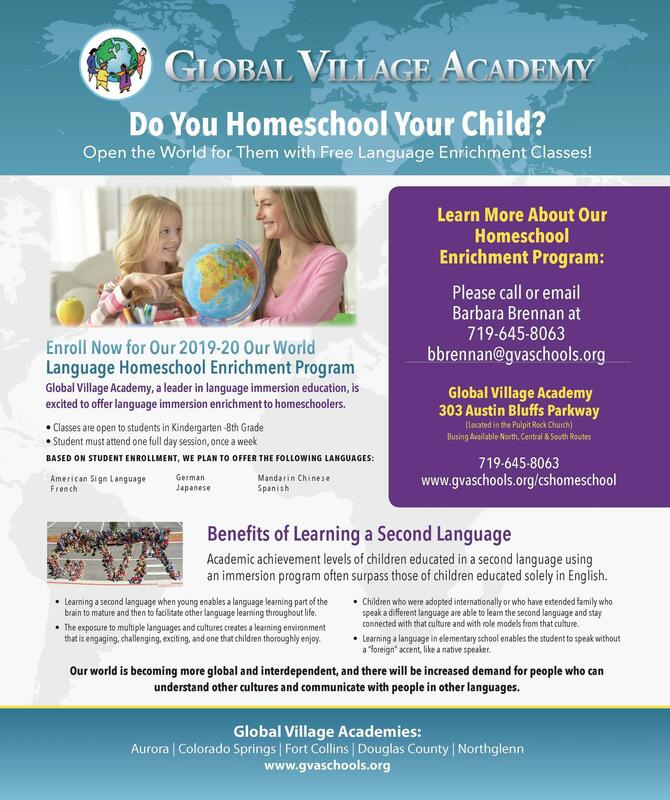 Global Village Academy, a leader in language immersion education, is excited to offer our pilot homeschool program in the Fall of 2019-20. Classes are open to students in Kindergarten -8th Grade. Students must attend one full day session, once a week.